Wed. #1 is HERE. Please follow us on Tumblr or Twitter, subscribe to us on YouTube or like us on Facebook. Don't miss The Wrestling Nerdcast this morning, Nickolye's 205 Live Recap this evening and Glove Up or Shut Up at 8 PM ET! With the cheap plugs out of the way here's Wednesday's latest wrestling news. The YouTube subpocalypse is for real and my YouTube channel could use your support. I need 1,000 subscribers to survive and it's at 779 subscribers right now, an increase from when the bad news broke, but I still need 221 more. While the revenue generated is small compared to a Game Grumps or a NoDQ it's still very much necessary to keep our operation running. Please subscribe to Mistah MegaManFan and help me out! In this interview Aro Lucha CEO Jason Brown clarifies Rey Mysterio's status with the promotion: "We always had open discussions with Rey and he informed us that he wanted to join Aro Lucha and see it succeed, but that he always wanted to end his career at the WWE. At the time of our initial conversations, there was no discussions with the WWE or a timeline, so we all thought it could be 2 or 3 years before he decided to go back. 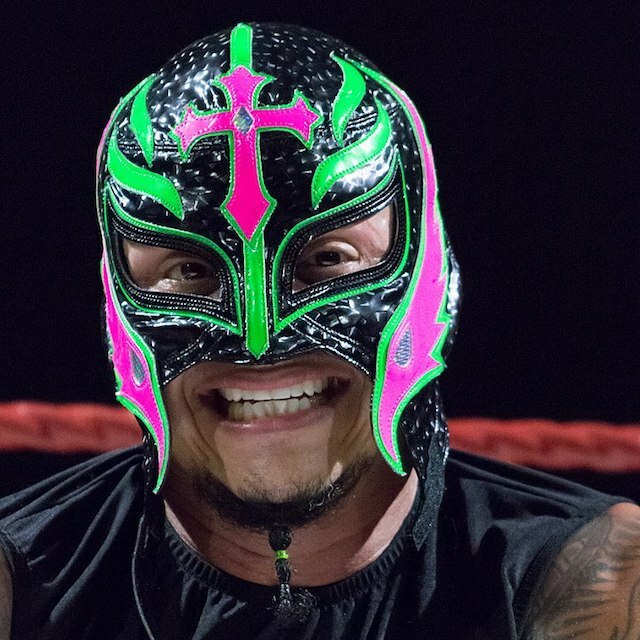 Rey continues to hold stock in the company and we are a place that he can return to and help outside of WWE. We want what is best for Rey and the opportunity for him to return happened a lot faster than any of us predicted, including Rey. Our relationship with Rey is good and we will continue to grow the brand while he is away. We are different than the WWE and there are special reasons why Rey found Aro Lucha interesting. He said something in the WeFunder video, something to effect that he loved Aro Lucha because it was 100% lucha and for the lucha fans, that's what makes us different and unique." Speaking to Busted Open Radio, Paige says she's never been happier: "I'm so happy. I'm so happy. I am the happiest I've ever been. Do you know what? It's just relaxing. My body doesn't hurt as much anymore. And I get to work in the same job with the men and the women now, which feels great. I get to be around people I love. I get to run my own store. It's amazing. I love it." In addition here are highlights from Mixed Match Challenge last night. Here Naomi talks about her big WrestleMania win: "It's hard to put in words all the feels and emotions. It felt like I won the lottery lol. My name is now cemented in WWE history! Years from now when I'm long gone, and there's many more Women's Wrestlemania Battle Royals people will remember the first and think of me. It's all very special to me." The latest UpUpDownDown videos can be found below. In this interview Chris Jericho talks about the possibility of appearing for Impact Wrestling: "I think you know me well enough to know there's always a chance, I have no restrictions on anything that I'm doing, and you know me well enough to know that if it was going to happen I damn well wouldn't tell you. I think it's just one of those things where you'll have to wait and see. I don't have any restrictions or any real plans at all. I just kind of do things as they come which is why this year has been ... and I'm sure next year will be more of the same so let's see what happens." The latest New Japan Pro Wrestling video is below. The latest Sheamus workout video is available below. 3:00 PM ET. More WWE related videos are available below. Here Mustafa Ali talks about being embraced by the fans: "I kind of go back to my point and when I'm making my entrance, some of them (fans) were chanting 'Ali'. One of my friends who was in attendance at the show went like, 'It's about to be July 4th in America, and they're chanting 'Ali' right now!' So it's kind of that instance for me, because it's what I'm going out there and fighting for, to be able to bring that change. I want to change how people perceived me when I came over here, change how the people perceive South-East Asians, or Middle Eastern or Muslim or Hindu or whatever their identity is. I want them to just let that go, and treat the performer as a performer." In this interview Ronda Rousey talks about the differences between MMA and wrestling: "Here's a good analogy: MMA is like being a pirate. You are a pirate. You do the pirate thing: You're out there, on the ship, pillaging. You're a pirate. WWE is like you are the star of Pirates of Penzance. Being the star of Pirates of Penzance is a lot of work, and it's very very difficult, and you might have to learn a lot of pirate-y things, but it's not the same as being a pirate. One is the actual subject and one is paying homage to the subject." Oh boy -- Hulk Hogan says he's going to Saudi Arabia with WWE: "There are a lot of plans in the works. I'm looking forward to going to Saudi Arabia with the WWE, looking forward to WrestleMania - but yeah, we're moving forward at a rapid pace. It's exciting to have this opportunity again after all these years where I was there and gone." "Filthy" Tom Lawlor was attacked while promoting MLW's Fightland in Chicago. Via Twitter Lana revealed that her Instagram account has been hacked. 4:00 PM ET. The WWE related videos above have been updated. Enjoy!